Pharmaceutical stocks on a tear: 1 day after the announcement, pharma stocks zoomed in trade. Some analysts credited Trump’s winning the U.S. Elections since Clinton would have created regulatory hurdles for the sector. The most interesting analysis however came from one of my clients who called in with this – ‘Sir, chemists are accepting Rs. 500 and Rs. 1000 notes for a few days. People are buying 1 year medicines in advance. I think Pharma companies will present very healthy Q3 results. Should I buy this. Genius. Housing finance: HDFC, LIC Housing, Can Fin Homes, Gruh Finance, Repco home – some of these stocks have been favourites for most fund managers (I included) over the last 1 year. The fear is that as realty prices fall, some of the loans extended by these companies could default. This happens when the value of the outstanding loan exceeds the market price of the property. Ideally, these companies should extend a loan which is not more than the registered value of the property. Of course, the limits are often pushed. Now if you ask me, if house prices fall, it would be the best thing to happen for housing finance. Housing finance thrives when house prices come in the reach of salaried people and first time home buyers, the biggest market for housing finance. I am not sure how falling house prices are negative for this sector. Banking:This is one sector which will benefit for sure. However here to, the house seems divided between those wholike PSU bank vs. those who prefer pvt sector banks. No doubt that money will flow into all banks, may be a little more in public sector banks where all of the jandhan accounts were opened. That said, once the dust settles, pvt sector banks will continue to enjoy competitive advantages as before. My views on this have been clear for many quarters now. Infrastructure: If the government’s deficit will go down, which seems to be the intention of this move, they government will have more money to pay for infra projects of which the direct beneficiary will be companies in this sector. Consumer Discretionary stocks: Think of all companies where transactions happen in cash. Hotels, alcohol, restaurants, consumer electronics, cigarettes etc. Naturally, sales for these companies will come under pressure at least for this quarter. But how much should you worry or how much can they correct is anybody’s guess. 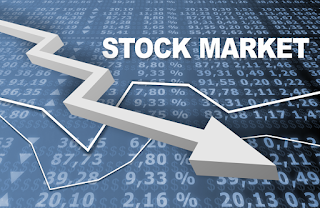 Usually, markets discount such one of events and if somebody sells these stocks for these reasons, somebody else will buy. Impact on Gold: I have heard of people hoarding gold. In fact the tweet below sums up the situation perfectly. Thy person who narrated this story, told me that the tax officer bought gold at 2.5 times its market value. The thinking here is not the most novel. Buy gold today and in a year or so sell the gold for cash once new notes become available. If everyone starts doing this, gold prices could completely crash in future because of oversupply of gold. Further, many will be overpaying for gold today and will be selling it far cheaper in future. Of course, many would prefer to hold this gold for many years to come. For them, the analysis of gold (read here) becomes more relevant. Great article thanks for sharing this kind of information. MCX POSITIONAL is the best way to make money with the easiest way and mcx positional is margin trading in the share market. 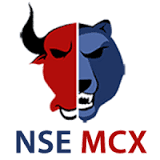 MCX positional is the way of holding your share in with long term and then make a large profit in MCX positional.